We have a new Sepia Scenes badge for the season! If you want to use it feel free to right click and save it. 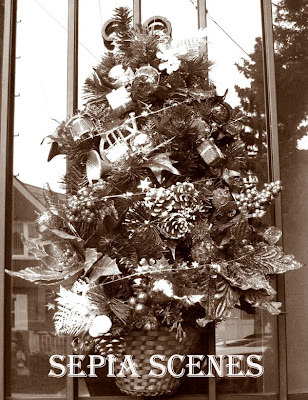 the photo is of my holiday door decoration. The photos below were taken at City Island, Bronx, N.Y. this past weekend. It was a beautiful day, warm and very sunny. 1. Duplicate the photo layer. 2. Apply a sepia effect to the top layer (play with Image > Adjustments > Variations...). 3. Adjust the transparency of the top layer to suit (start at around 50%). There are a few other tricks to bring out the best, so I recommend checking out the referenced article and giving it a try! Combined with a little edge burning in and contrast adjustment, this effect can give a striking new depth and mood to a photo. Could suit a wide range of subject matter. Sign Mr. Linky if you are participating and leave a comment. I'll try to visit as many people as I can. My post is a Christmas one! I love the new Christmas button but I already had mine up when I came here! I really like the mixed sepia in yours this time! Like the holiday flavor for the badge, thanks! 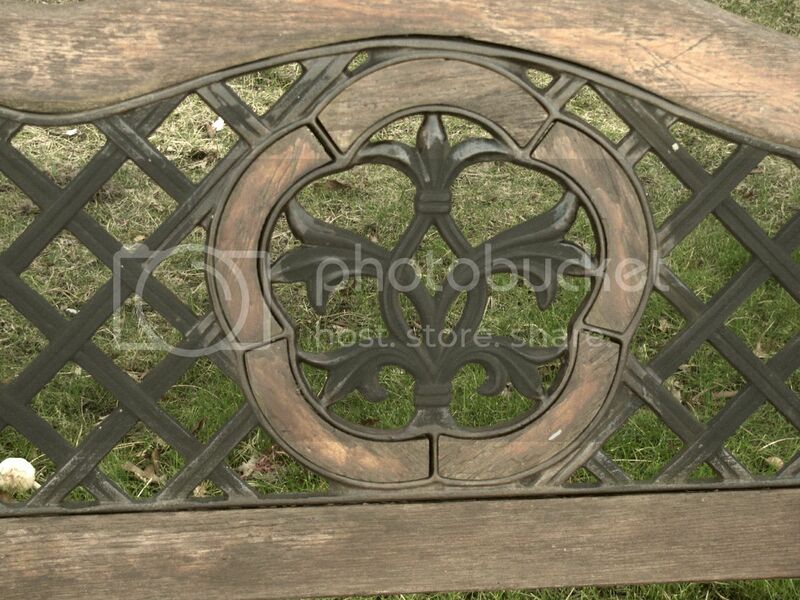 These look remarkably like the bench my mom has in the front yard that nobody ever sits on. Where would we be without the ability to work in layers? I know myself I'd be totally screw...uh... hosed. And pardon me while I shamelessly plug this in both places, but there's a party going on at Casa Mojo today, and I wanted to make sure all the Sepia Sceners knew about it. I believe you know the guest of honor. I like to play with my photos as well as the next blogger, but this time it's simple, I just scanned it. Lovely endeed. I must try that. The benches in sepia and grass in green, that's such a cool picture. I try working in layers, some how it doesn't always work for me. Layer one will totally cover the picture in layer 0. No transparency at all. That makes me so frustrated. Other times, when the Elements are on my side, it works just fine. 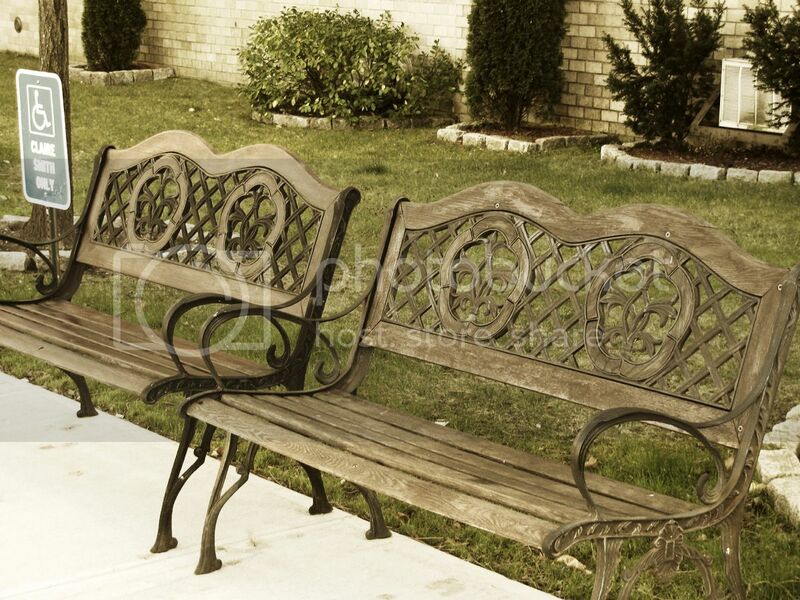 The benches look great in Sepia, MaryT! I love the banner and the quote, the latter is most unexpected so that much more meaningful. I love photos of benches and I hope you had a chance to rest on this beauty. Thanks again for bringing us Sepia Scenes, Mary. When it comes to layers in PS..I'm a complete idiot!! Mary, a pleasure house is what we call "lusthus" it´s a little house in the garden, which we use in the summer time to drink coffe or tea in or just have a little chat or relax. The bench looks amazing in sepia! I really like the bench in sepia, it makes it feel like a nice warm day for sure. I also really love the quote at the top of you header. That is something I am going to have to live by this year. I have cut my Christmas budget in half and I hope that I can stick to it! Love the new holiday badge! I will pick it up and use it next week!